It is no surprise that politicians use their positions for political gain. Usually their actions are shrouded in vagueness so as not to give the appearance of partisan behavior but over the years one party in particular - the Republican party - has used their positions of power to engage in blatant political attacks. Her claim is that because people vote early and sometimes vote for Democrats, and because Democrats realized that people vote early so they developed a get-out-the-vote strategy, Republicans suffered at the polls so their solution was to not engage in their own mobilization of voters but instead work to delegitimize early Democratic voters by claiming that those votes are "illegal" and stealing votes from "honest Americans," a.k.a. Republicans. "Encouraging people to close their minds and cast an irrevocable ballot before all the presidential debates are held is as harmful to a fair outcome as it would be to allow jurors to vote guilty or not guilty before they hear all the evidence in a trial. Hillary Clinton called the North Carolina law’s provisions “the greatest hits of voter suppression,” but the real “hits” are the way illegal votes cancel out the votes of honest Americans. Nevermind that the fact that voter fraud is virtually nonexistent and there is zero evidence of illegal votes being cast in mass to benefit one party or another. The purpose of these attacks is political - plain and simple. Pennsylvania House Majority Leader Mike Turzai flat-out stated the reasoning behind his state's voter regulations. "Voter ID, which is gonna allow Governor Romney to win the state of Pennsylvania, done," Turzai said at a Republican State Committee meeting. Another blatant political attack is using their power in government to attack their political enemies. There is no clearer example than looking at the years-long battle against former First Lady, Senator, and Secretary of State Hillary Clinton. Republicans attacked her for everything from Benghazi to her email server - both things that Republicans were also responsible for doing themselves but showed zero interest in investigating unless the subject's name was "Hillary Clinton." No better example for this is the interest Republicans have in investigating the many conflicts of President Trump and his administration. For instance, Trump uses unsecured phones and his senior staff have private emails on private servers, but Republicans are silent on the issue. The latest example of blatant partisanship on behalf of Republicans? Now that Hillary Clinton is no longer the political bogeywoman Republicans need to go after their next target. 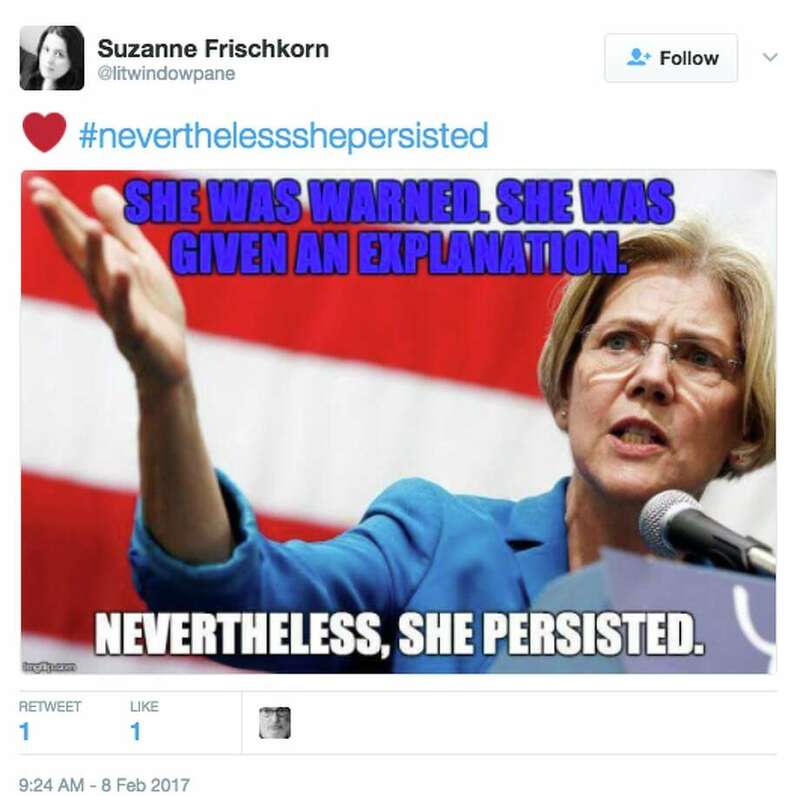 Many progressives have rallied around another strong female Senator - Elizabeth Warren from Massachusetts. This week the senate voted on the nomination of Trump's attorney general pick, Senator Jeff Sessions. 30 years ago Jeff Sessions was up for a federal judgeship but that fell through when numerous accounts of Sessions' racism came to light. Even the widow of Dr. Martin Luther King Jr., Coretta Scott King, penned a response to his nomination back in 1986. The letter popped up last month when it was discovered that the Republican chairman of the Judiciary Committee at the time, Senator Strom Thurmond, failed to enter it into Congressional Record. Nevermind the fact that the hearings were in regards to Jeff Sessions the Attorney General nominee and not Jeff Sessions the Senator, Republicans used this old rule to stop Warren from reading King's letter and then barred her from speaking for the remainder of Sessions' confirmation hearing. Senator Lindsey Graham went on conservative radio host Mike Gallagher's show to elaborate on the motives behind silencing Warren. “The bottom line is it was long overdue with her, I mean she is clearly running for the nomination in 2020,” Graham said. Graham admits that they silenced Warren not for the content of her speech but because they perceive her as a electoral threat in four years, noticing that her star has only grown brighter in the last few years and so it was time to stop her in her tracks. These partisan attacks are not going to go away and will undoubtedly get worse over the Trump presidency (things really started to get heated up during the Obama administration) and now that Republicans control all branches of government (assuming they continue with the Gorsuch nomination that they have simply for playing dangerous partisan games with the Merrick Garland nomination), than we can expect more blatant political wrangling and hypocrisy. Let's just hope Democrats and their supporters unify (like the GOP has) and persist.